There has been insecurity along the Federal highway connecting Rivers State and Imo state. And at several times prominent citizens have been kidnapped and killed while so many have been unaccounted for since they have been adopted. a journalist who wants to remain unanimous “A Catholic Priest, Fr Anselm Onwuegbuchulam was abducted on July 21, 2018. His fate is currently unknown. Hails from Inyishi, Ikeduru Local Government Area, in Imo State South eastern Nigeria but belongs to Nnewi Catholic Diocese, Anambra state. And he was a student of Catholic Institute of West Africa-CIWA, Port Harcourt. On September 29, 2018 a bus from Abuja to PH was kidnapped with driver and a passenger shot dead, other occupants taken into the bush. Sometime in October, a Sienna bus from Owerri to Port Harcourt escaped by the whiskers along Ubima axis of the Owerri-PH Road as criminals wielding their guns suddenly emerged from the bush. “The driver saw them from afar and made detour. Also in October, 10 passengers including wives of 2 police officers were abducted, but were rescued some days later by the IGP Monitoring Unit. Were brutalized, their ATM cards and money withdrawn from their accounts by the criminals. This also happened at the Ubima axis. The Elele-Isiokpo axis is also not safe as similar horrible incidents also occur from time to time. The terrible portion of the Owerri – Port Harcourt road in the IMO state axis at Umuapu in Ohaji/Egbema Local Government Area of Imo State aids hoodlums to attack motorists. The ’ember’ period with its attendant heavy traffic has even made the situation worse. However there are security Check-points along Owerri-Elele Federal High way but their presence has not reduced the incessant rate of kidnapping and armed robbery along that corridor of economic axis being an Oil bearing community in Imo State. 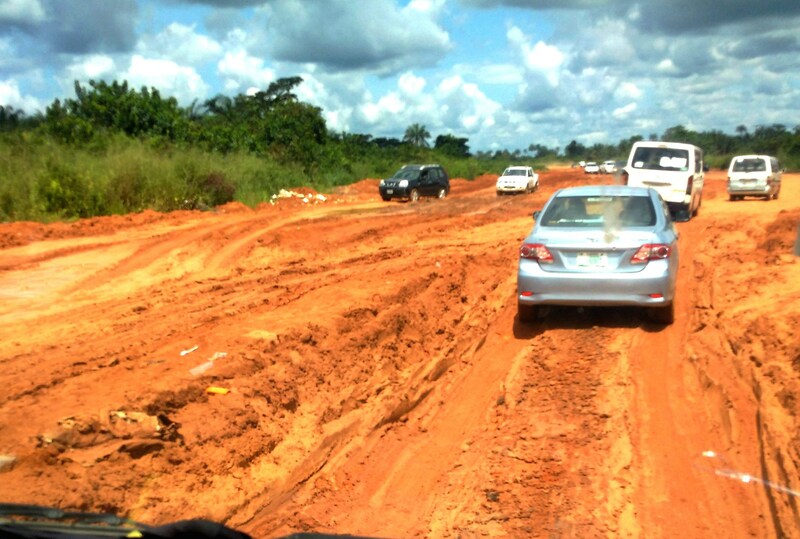 The road project is currently awarded to Arab Contractors Construction Company and Federal Ministry of Niger Delta Affairs is the supervisory Ministry over the project. www.towncrier.ng gathered that instead the incumbent Governor of Imo State to engage into positive resolution of any impediment stalling the continuation of the completion of the road project he appointed his wife Nneoma Rochas Okorocha as the Chairperson of Amnesty Programme awarded to Cultists majority of who originated from Ohaji/Egbema and Oguta Local Government Areas of Imo state. In this way youths are being awarded contracts and monthly stipends being spent on them without visible job done. This encourages other law abiding youths to embark on kidnapping and armed robbery as a means of survival as they also await being enlisted into the Imo State Amnesty Programme as permitted by Governor Anayo Owelle Rochas Okorocha of Imo state.